There are three things I wish every kid with ADHD knew. If you knew these things right from the first day you had a problem because of your ADHD your life would be better. The first thing is: You are not alone. have ADHD. That means that in your classroom now there is at least one and possibly two other kids with ADHD. The second thing is: Just because a teacher gets made at you it doesn’t mean you are bad. Hey, I get it, being yelled at, talked down too and relentlessly punished by teachers because of how I acted in class can cause anyone to think that they are bad. Mostly I didn’t even know what I did wrong, so by about grade 5 I was convinced I was a bad kid. Other kids thought I was bad too. I’m telling you right now, i was wrong and so were they. I don’t have a bad bone in my body, I am a good person, I have a good family and I care a lot about the world. I’m not bad and chances are neither are you. I can’t tell you to pay attention, or settle down, or get your work done because I know that probably won’t happen, but I can tell you to remember just because you can’t do these things all the time it doesn’t mean you are bad. Maybe calmly remind your teacher that you are doing your best, that some things are out of your control because of you ADHD and ask him or her to help you instead of hurting you by doing anything that can make feeling bad about yourself worse. The third and most important thing is : the older you get the better things get. I’ve wrote about this before and I want to keep saying it, is that it does get better. In high school you will find friends, you will figure out what you are good at, and start to settle into being yourself. The pressure comes off a bit and even if you still can’t do the work like you should somehow if you keep asking for help it gets better. For me making friends in grade 11 was a huge turning point. Getting a A in physics as also pretty cool this year, that is a grade I have only seen once in 12 years of schooling. I think I understand myself better and am better able to control my mind and my body and don’t derp as often, especially in public. If you are still struggling ask for help. 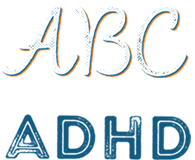 There are a lot of resources about ADHD and mostly if you can get the pressure off at home and school and get everyone who cares about you working WITH you then you have the best chance at a good life. So those are my three things. Remember, we have this ADHD thing for our whole lives and we might as well embrace it now , stop fighting , ask for help and figure out how to grow up with it and all the good stuff that comes with being, ok, faster and smarter than the other 90%.